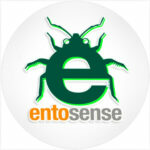 WholesaleEdibleInsects.com is owned by Entosense. All credit card information and personal details are kept confidential. Credit card information is not held on our server and is managed using PayPal or Authorizenet. If you request to be on our newsletter mailing list; we will send emails that will be promotional in nature. Newsletters include an unsubscribe link available to you at any time.